Yes, I know it was a last-minute touchdown against a less-than-regular-season-caliber defense, but is there a possibility Jalen Ramsey could be inserted in a few packages next year to improve the wide-receiver depth? Jaguars cornerback Jalen Ramsey lining up at wide receiver and catching touchdown passes is cool. People like it – Jaguars fans, particularly. And Ramsey likes it, too. And it was cool seeing Ramsey catching a six-yard touchdown pass from Houston Texans quarterback Deshaun Watson in the 2019 Pro Bowl on Sunday – even if the defense on the play was … well, less than intense. As far as Ramsey’s future as a pass receiver, the guess here is it’s limited enough to be nonexistent. He clearly is skilled enough to do it on occasion, just as he is skilled enough to return punts – on occasion. But it’s difficult enough to be the best cornerback in the league without trying to add preparation and practice time at another position. It was fun watching the Pro Bowl! It was great to see players having fun, making plays changing positions, etc. I liked the last play when Jalen 2.0 caught the touchdown on the offense side! Maybe our offensive line just found some help!!! Go Jags. The Pro Bowl was cool. Jags Fan 818 liked it. John, did you see any quarterback at the Senior Bowl that in your opinion merits the No. 7 pick in the draft? I certainly didn't think that any of them were that outstanding. None of the quarterbacks in the Senior Bowl jumped off the page that week or in that game. Remember: The Senior Bowl – like all other phases of the pre-draft buildup – are just pieces in a big puzzle. There’s plenty of time to rise, fall and rise again – and my guess is at least a few of the Senior Bowl quarterbacks will do just that before the NFL Draft. And remember, if just one of the quarterbacks in that game rise, and if you like Kyler Murray of Oklahoma and Dwayne Haskins of Ohio State, that gives you three quarterbacks early in the draft. That’s all it will take to give the Jaguars options there. 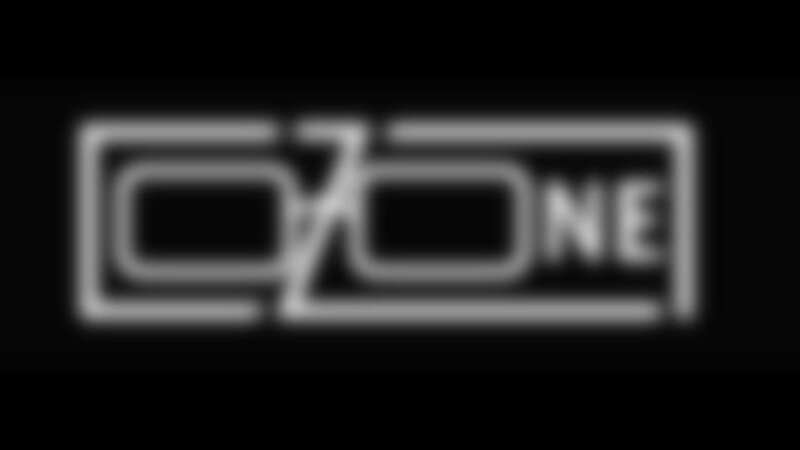 Zone, I don’t mind when you mention the 2017 season … It was great fun. In fact, which season was the Jags’ best season over the last 15 years? Before we get all Cuckoo for Cocoa Puffs over Nick Foles, consider he was traded for an at-the-time-bust Sam Bradford by the Philadelphia Eagles, cut by the St. Louis Rams and cut by the Kansas City Chiefs before returning to the Eagles as a backup. In seven seasons, he has averaged less than eight games a season and has a career quarterback rating of 87. I know he has flashed greatness but so has Ryan Fitzpatrick and no one is clamoring for him. Do you really think we should give up the farm for Foles? I don’t yet know the definition of “the farm.” If the farm is a lot of free-agency money over a couple of years … then sure, give it up. If it’s draft-pick compensation and a whole lot of money … nah. But your point is a good one and illustrates the concern: How well will Foles’ success with the Eagles translate over the long-term and into a new situation? I believe Foles would improve the Jaguars’ quarterback situation next season, but the question of whether it would improve it enough to justify the cost is trickier. This is the best chance yet. Howdy ... How long do we have to "stay tuned" before we know the news on linebacker Telvin Smith? I like the guy quite a bit and hope he stays. Offseason news regarding players under contract happens in fits and starts, with the stream becoming steadier as the start of the NFL’s League Year approaches. That’s when teams must be under the salary cap, and when free agency begins. If Smith returns to the Jaguars, there won’t be any “news;” he will just be on the team. If the Jaguars move on, then it will be a bigger deal. I would expect Tom Coughlin to make a trade for Foles and that should happen pretty quick. It just makes sense. Go Jaguars! So, people wanted the Jaguars to find a quarterback in last year's draft at Pick No. 29. It's possible that would have been another scenario where they forced a pick at quarterback and taken a Byron Leftwich last year and because they drafted a quarterback high they may have passed on a Ben Roethlisberger this year. Bortles had a stretch in December where he was playing better than all other quarterbacks and he quarterbacked them to a few minutes away from the Super Bowl. I still think keeping Bortles made sense. There isn't a surefire way to manage a roster, because if there were everyone would do it. Careful. This statement tests the theory that everyone around the Jaguars is completely nonsensical and without logic. It probably won’t sit well with a lot of readers. You're such a grouchy old man. John, might the Jaguars draft two quarterbacks this year? I think it’s very likely the Jaguars acquire two quarterbacks this offseason. Whether both are acquired in the draft, I have no idea. There are a lot of people looking for the officials in the Saints/Rams game to be reprimanded for that blatant non-call. The fact is the league probably wanted that call not made. The only NFC team that could and would beat the Patriots in the Super Bowl is now out of the picture. Exactly the way Roger Goodell and Robert Kraft wanted it! Did you know they are friends again? Do u still own an Atari, Sony Walkman, Stretch Armstrong, G.I. Joes, Pet Rocks, Simon Says, Etch-a-Sketch, or any other nifty toy of yore? I’m pretty sure I have handheld Mattel Electronic Baseball somewhere in the garage. If I had handheld Football II I probably would play it occasionally. It was that good. Good/decent quarterbacks like Foles want long-term big-money deals, and more often than not get what they want. Why not save all that money paying Foles and instead draft a quarterback in the Top 10 and pursue a backup quarterback in free agency? In this instance the cost outweighs the benefit. Especially if Foles isn't the long-term solution. I think the lawsuit against the NFL regarding the Rams/Saints game needs to be completely dropped or else there would be a very bad precedent set going forward. If fans get refunds, then imagine all of the games that will be challenged for fan refunds going forward. If any of the game were replayed, imagine how many challenges for game replays would happen. Fans need to learn more to enjoy the game and not to dwell on the outcome. Even though Myles Jack wasn't down, I let it go. There are multiple bad calls and blatant non-calls throughout each game that contribute to the result. The Saints had two chances to stop the Rams to win the game and they didn't. Therein lies the blame. Of course it will be dropped because it would be insanity for it not to be dropped. It will be dropped because – as you said – bad calls are part of every game. And what are we going to do? Go back and replay every bad call in every game? Or we going to replay Myles Jack wasn’t down? Tell you what: officials in 1975 missed an obvious call when they awarded St. Louis Cardinals wide receiver Mel Gray a touchdown in a victory over the Washington Redskins – my Washington Redskins, at the time. Are we going to replay that, too? The Redskins would have won the game had officials correctly ruled that Gray dropped the ball in the end zone. The Redskins probably would have made the playoffs. I can guarantee you nine-year-old John Oehser was just as distraught over that game as New Orleans Saints fans were last week. It’s quite likely I didn’t want to go to school the next day. You know what nine-year-old John Oehser’s father told him? He said, “Kid, I don’t know who you are, or where you came from, but I don’t like the looks of you.” What he said actually doesn’t have much to do with the whole “lawsuit thing.” It actually didn’t have anything to do with the Redskins game, come to think of it. It was just something he said a lot for some reason.